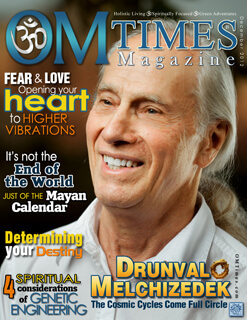 With the end of the Mayan Calendar fast approaching, we are Grateful to have Drunvalo Melchizedek on the cover of OMTimes Magazine. When it comes to truly understanding the events surrounding December 21, 2012, it could definitely be stated that Drunvalo Melchizedek is one of the world’s foremost experts on the subject. Drunvalo is the author of five books including The Ancient Secret of the Flower of Life, Volumes I & II, Living in the Heart, Serpent of Light and his newest one, The Mayan Ouroboros. These books have been published in 29 languages and reach out to over one hundred countries throughout the world. His latest book, “The Mayan Ouroboros”, talks about the history of the Earth grid, the Atlantean-Egyptian connection that brought it into being and the forces that preserved it down through the ages – just long enough to make it possible for us to move through the changes that we are experiencing now. 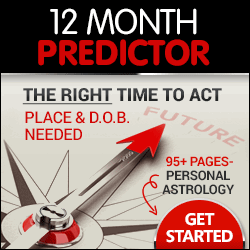 We’ve heard all about the dark side of the Mayan Prophecy – now, as we approach the 2012 Winter Solstice, Drunvalo is here to tell us about its Light side, and to talk about the transformational energies that will usher humanity to a new level of consciousness. 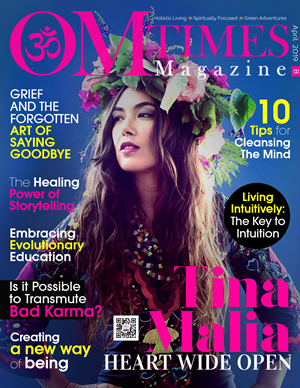 OMTimes is a Holistic Green eZine with a Spiritual, Self-growth perspective for the Conscious Community. OM Times was created to share new ways of thinking to promote Healing on personal, community and global levels; and to bring attention to the individuals and organizations that are making a difference.